This trunk was designed for the University Of Nebraska. The trunk features 8 storage drawers mounted on HD Accuride drawer glides, the drawers are mounted into a cabinet which is then mounted into the case; completely isolating the drawers from the exterior case. This isolation design yields a much stronger case: any stress encountered on the exterior case is not transferred to the drawers. 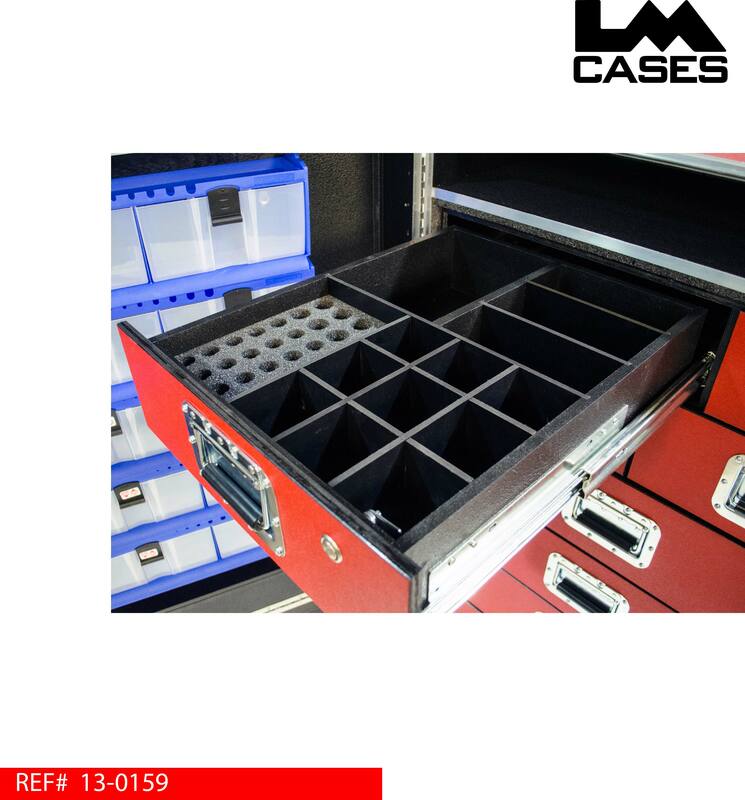 All drawers are built out of 1/2" Baltic Birch plywood and black texture coated. 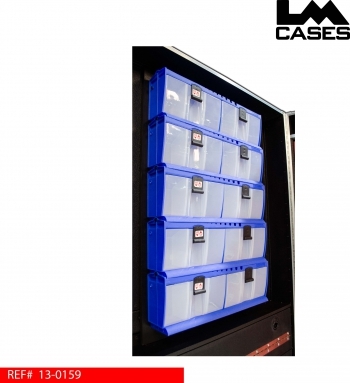 The drawers are all generic open designs allowing miscellaneous items to be stored, the top left drawer is lockable and features individual slots for injectable bottles. 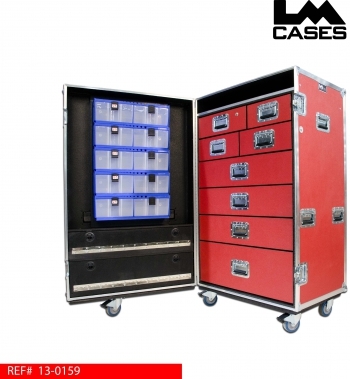 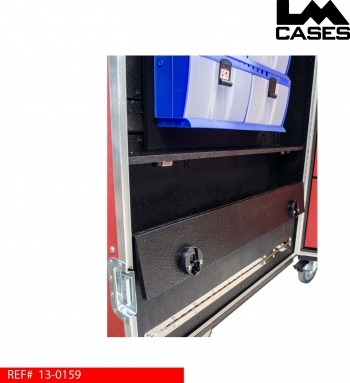 The case lid features 5 sets of Tilt Lock bins and 2 generic storage compartments. 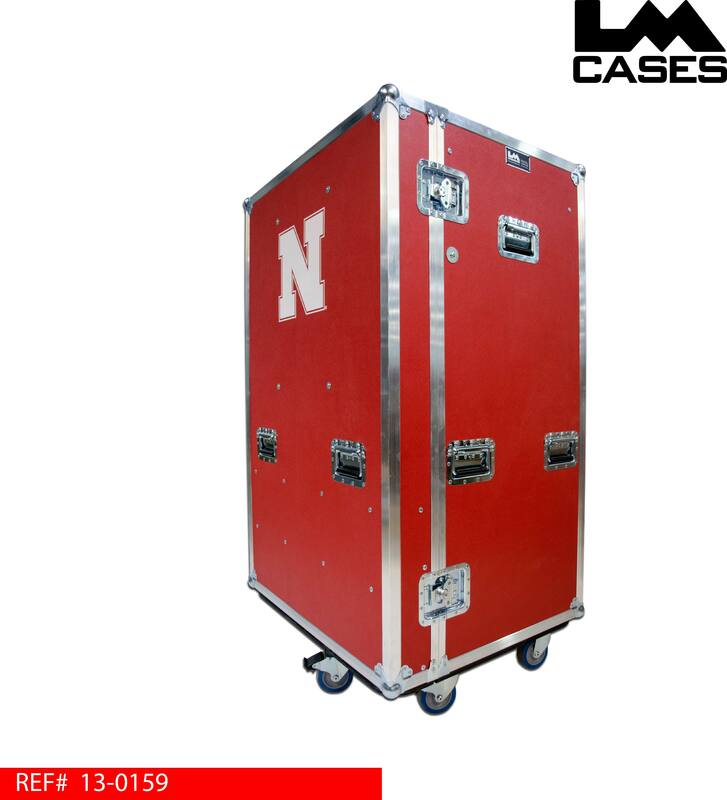 The exterior case is built out of 3/8" plywood laminated with red ABS plastic, the case exterior also features 4" Colson casters and a silkscreen of the school's "N" logo. Special thanks to Jeremy Busch and the Huskers AT department!